The Minister of Culture, Sports and Tourism today declared his official support and best-wishes for the Ho Tram Open, an Asian Tour sanctioned professional golf event taking place December 3rd – 6th 2015, as he pin-pointed the significance of world-class sports events for Vietnam’s future tourism growth. The Ho Tram Open will be broadcast live on VTV and K+ domestically and distributed to over 650 million homes worldwide, providing an unprecedented platform for promoting the Ho Tram Open and the destination. 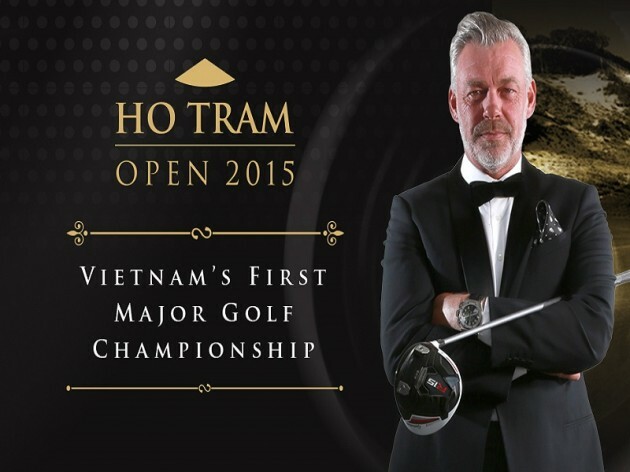 The Ho Tram Open will bring the world’s best golfers to Vietnam December 3rd – 6th 2015 and be broadcast around the world. Global superstars including; Sergio Garcia, Ryder Cup Captain & Past Open Champion, Darren Clarke, Former US-Open Champion Geoff Ogilvy, two-time European Tour winner & The Bluffs Ambassador, Robert Rock and Vietnam’s number1, Michael Tran lead the player roster, alongside a host of the Asian Tour’s best players. “Vietnam has so much to offer visitors from around the world, whether it is the searing vistas of the mountainous highlands to the 2000 kilometer long coastline that we at Ho Tram call home, and the Open in December will provide an amazing showcase of this amazing land to a global audience,” said Colin Pine, General Director of the Ho Tram Project Company. The Ho Tram Open has received unanimous support from Vietnam’s business community, who have supported the event proposition, with many committing to select high profile sponsorship packages. For more information about the Ho Tram Open including player bios and sponsorship options, visit www.hotramopen.com and follow @HoTramOpen.